Your Instagram feed is is glittered with people posting about Full Moon rituals and manifesting. WTF is manifestation? You might be wondering. And what's so special about the Full Moon? Some of your favourite instagrammers have dropped some hints but you don't know where to begin. You're curious about trying to make your own magic with your own power, but don't want to get it wrong. And no one wants to be the last one to the full moon party! Especially if it means that you can find some inner zen and learn how to ride some of the waves of life. Everything's changing and it's hard to keep up. You want to you make sure you're on the right track. Some tips to help you stay grounded and in your power would be useful too, right? Up for dipping your toe into some Full Moon magic but don't want to get too woo-woo? 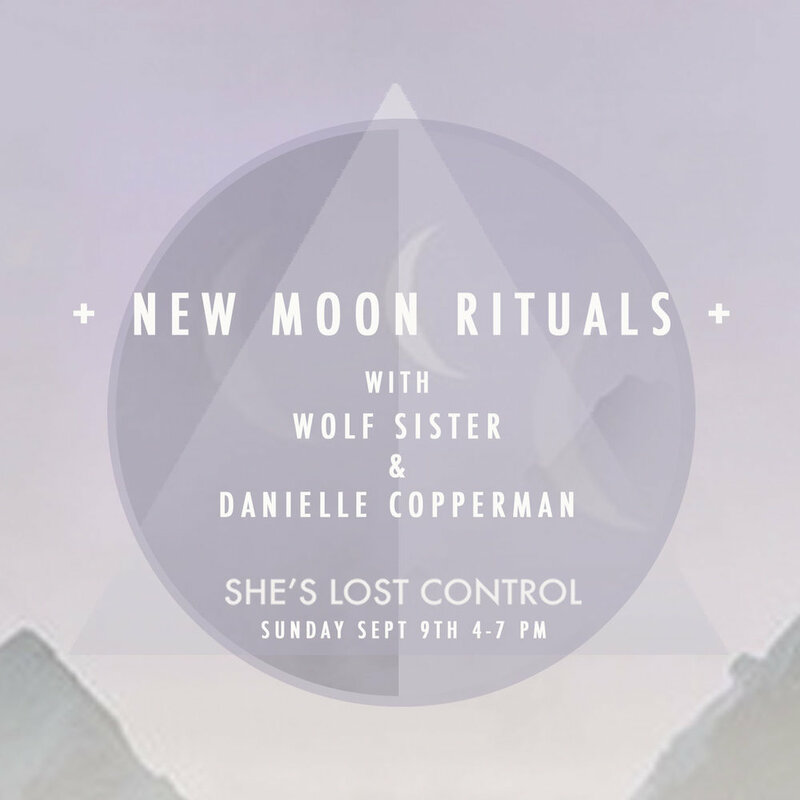 Join Wolf Sister (author of The Crystal Code) and Danielle Copperman (author of Well Being) for a Full Moon workshop where you'll be guided through a series of Full Moon rituals and practices that will help you align with the moon cycles. You arrive at She's Lost Control; you almost walked past it because it's tucked away from the hustle of Hackney. It's a Full Moon and you're excited to do something different with your Sunday afternoon. 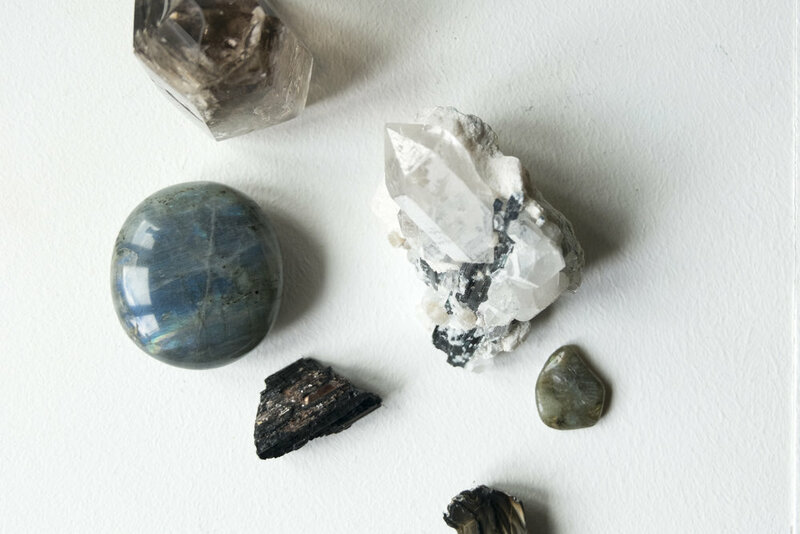 As soon as you walk through the door; you're mesmerised by all of the mystical wares and crystals on the shelves. All of the things that you need to do in the week ahead fade away, in that moment. You don't want to be anywhere else but here. Wow, your intuition was on point when it nudged you to book your ticket. Over the course of the session, Danielle teaches you some simple breathwork and practices to help clear your energy and help you feel more grounded; you could easily weave this into your daily routine. You notice that your head feels clearer already. Wolf Sister explains how to set intentions to align with the Full Moon and teaches you how to work with Oracle cards so that you can tap into your intuition, anytime. You're guided through an Oracle spread and as you work with the cards, you smile to yourself because it's as if they've have just read your mind. There's time to journal about the insights that have been flowing throughout the session. As the words flow through pen to paper, some truth bombs are affirmed and you've got some clear clues about how you can move forward. Amongst it all there's a delicious herbal infusions and light snacks from Danielle's book Well Being; which will be for sale so you can try the recipes at home. By 7pm you can't believe the session's gone so quickly. You'd forgotten that it was possible to feel this relaxed and reinvigorated. You float home and treat yourself to something nice for dinner. It's been a Full Moon to remember; your creativity is flowing, your worries have dispersed and it's hard to feel anything but blissful. You can't wait to use the tools from the session to return to this state again, and again, and again.